When I was little, my parents took my sister and I to the St. Lawrence Market in Toronto. I stood amidst bushels of acorn squashes, orange pumpkins with dirt on their bottoms and ripe, fragrant corn on the cob. My dad bent down to me and said, “Would you like to try a russet apple. They’re really good. They’re my favourite.” I looked at the apple in his big warm hands. 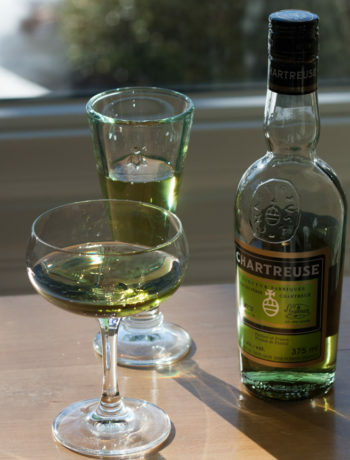 I had never seen an apple with bumpy golden chartreuse skin. I took a bite. It was crispy with an earthy sweetness. It was the most delicious apple I had ever tasted. 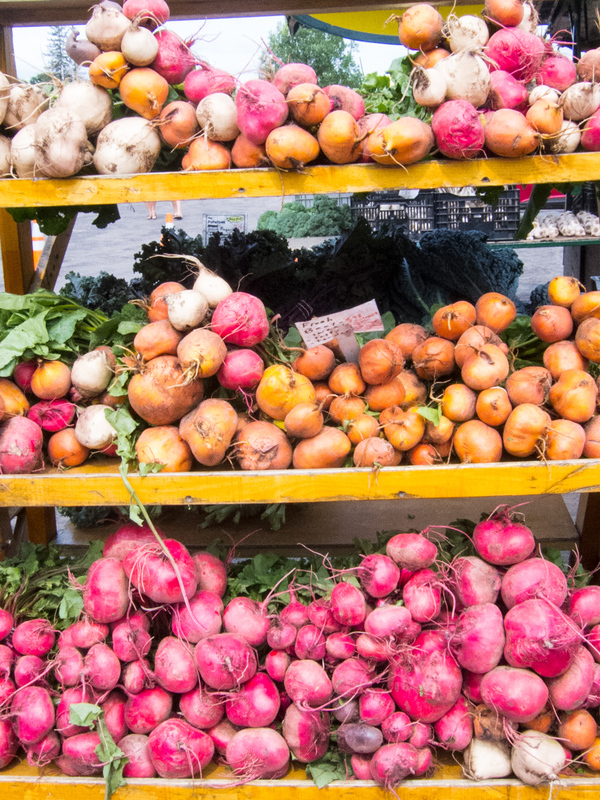 I have been visiting Farmer’s Markets since I was a little girl. With every house move I have made, starting in Toronto and moving east and then west across Canada, one of the first addresses I would google would be the local Farmer’s Market. 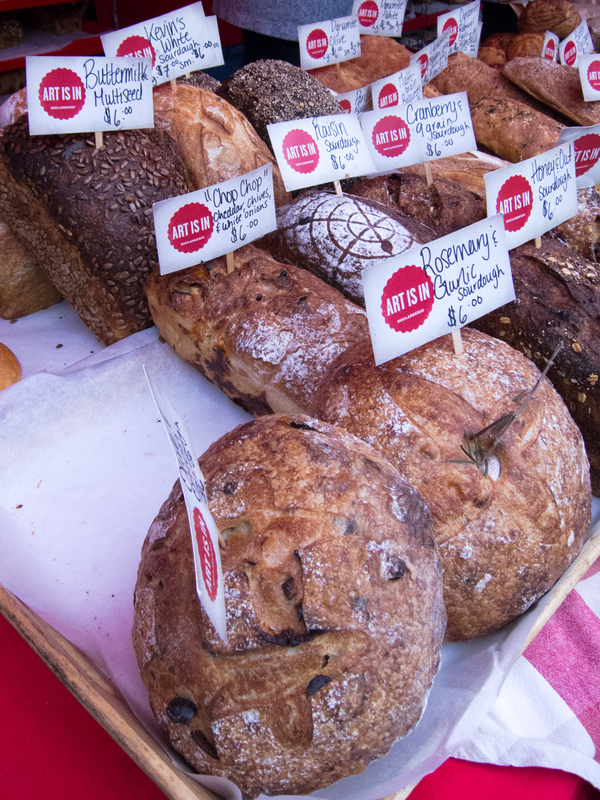 I even go to Farmer’s Markets when I’m on vacation: Montreal, Quebec City, Isle de la Magdalene, London, England, Vienna, Austria – big or small, I just love meeting the local bread bakers, jam makers, knitters, potters and wood workers. There are so many great things about Ottawa: skating on the Rideau Canal, Winterlude, close proximity to Gatineau Park and other great things. But I especially love Ottawa for it’s many wonderful Farmer’s Markets. And there are a lot. 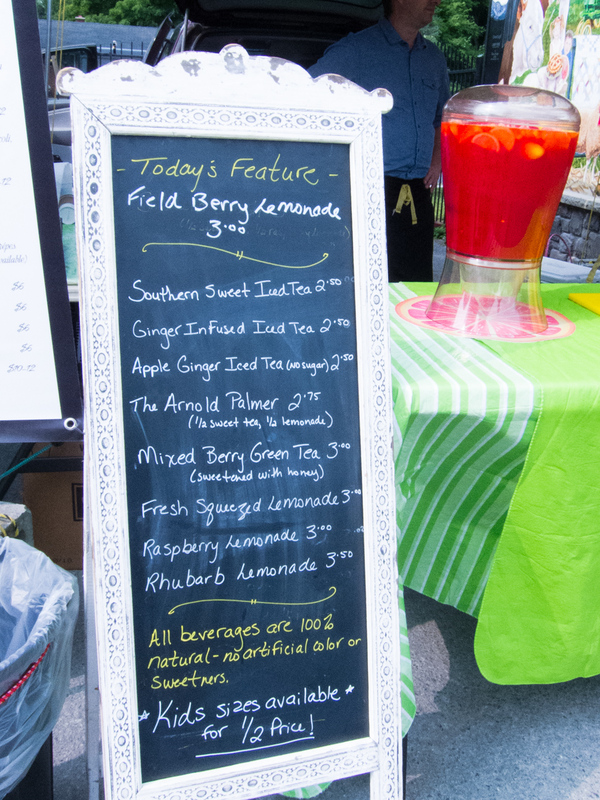 Following are some photos from some of my favourite Ottawa Farmer’s Markets. At the bottom I also have addresses of a few more markets. 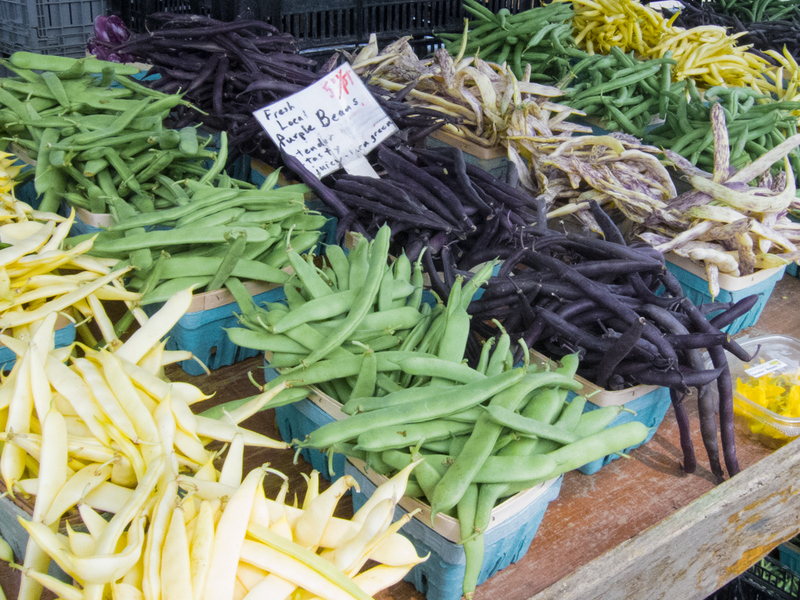 Lansdowne Farmer’s Market is the only year-round producer-only market in Ottawa. 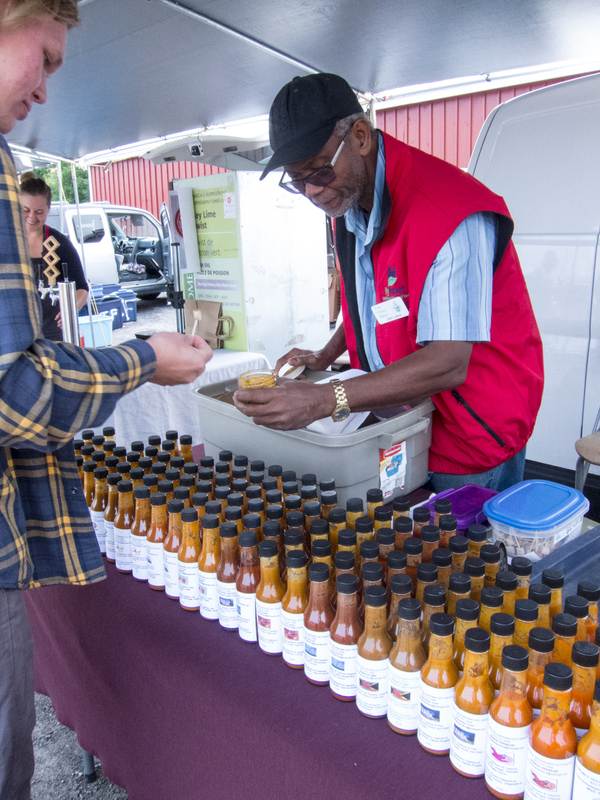 From May 1st until the end of October, the vendor’s booths are outside in Lansdowne Park. From November 1st until the spring the market continues indoors. Some of my favourite products are homemade breads, local honey, fresh local fruit and vegetables and British savoury pies. There are also some great stalls selling alpaca wool items, wood cutting boards as well as pottery. At the end of September they still had amazing produce on offer. 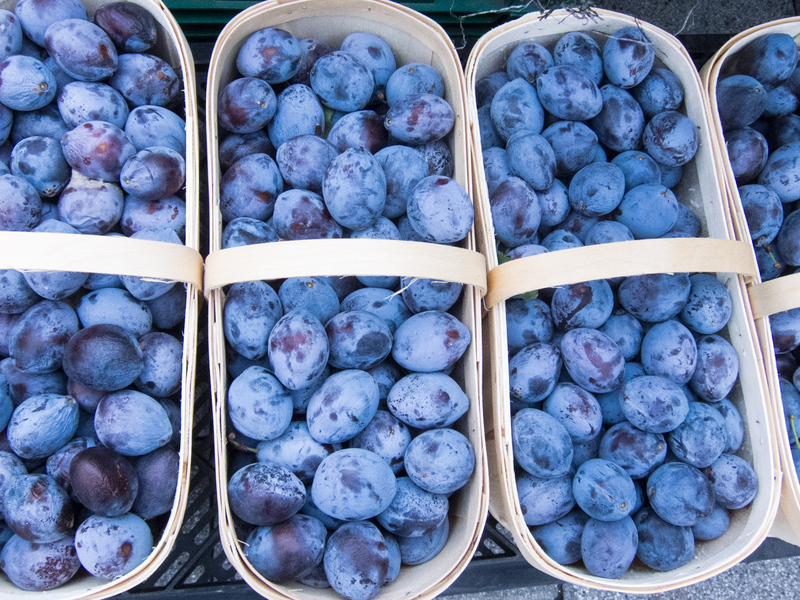 Baskets and baskets of delicious, fragrant German Plums. Great for making jam, tarts or just eating by the handful. 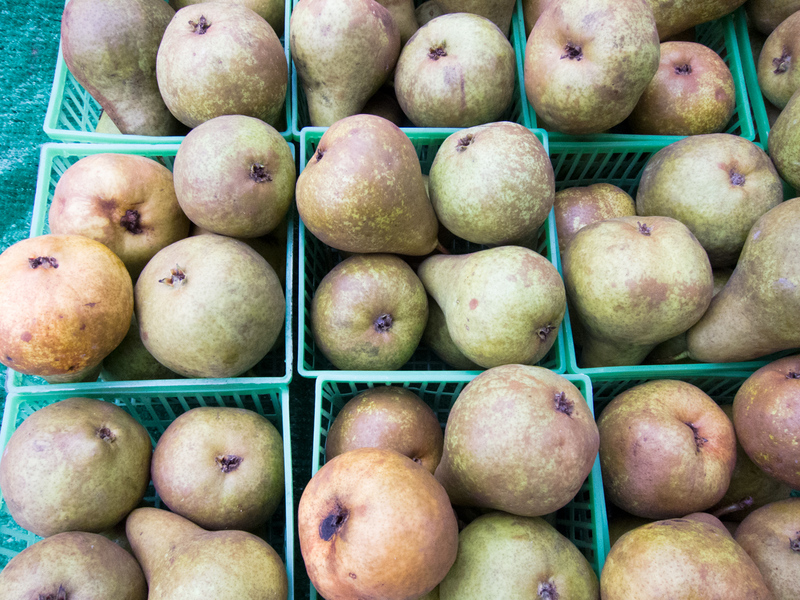 These Bosc Pears are just too good to pass up. Soft and sweet, they are fantastic for baking or just eating on their own for lunch, snack or a delicious healthy after-dinner dessert. Can you believe this? Strawberries and raspberries still available locally at the end of September. Unbelievable. Eat them as is, or use for jam making or any other amazing fruit dessert you can think of. 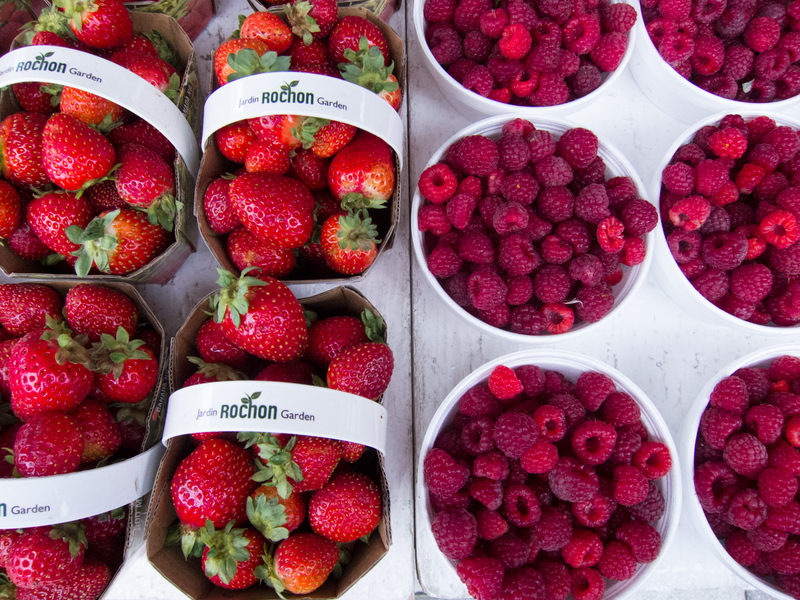 You can’t go wrong with fresh, local raspberries or strawberries. 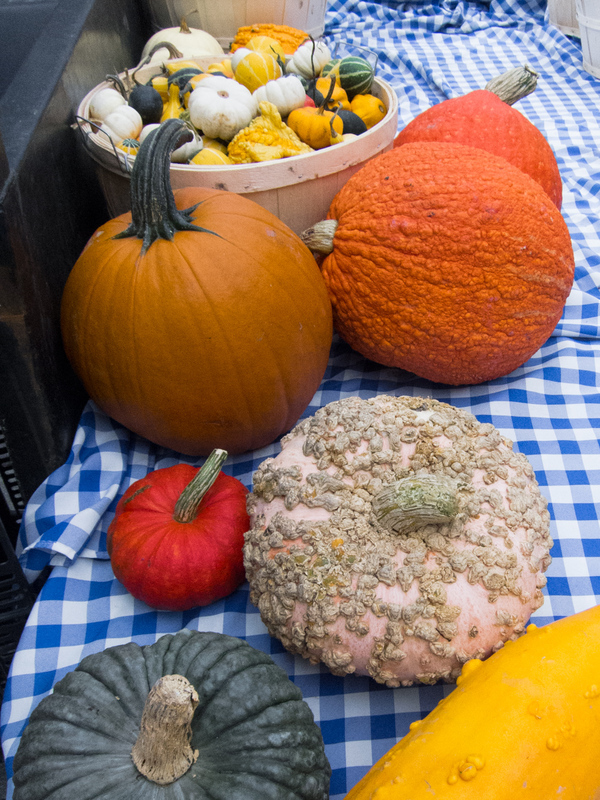 Gourds and pumpkins are just so cool to look at. I love to have them on my porch, or a few small ones inside to give off that authentic autumn ambience. The stranger the better. 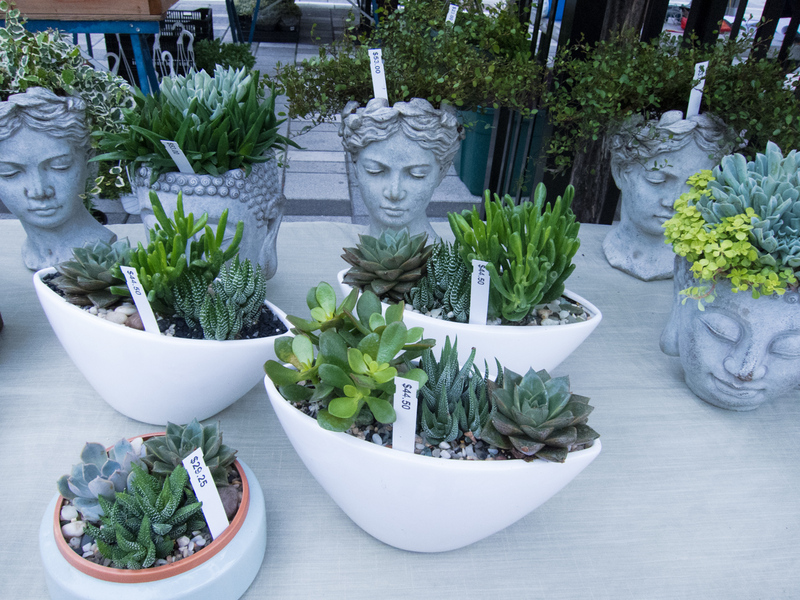 My favourite succulent booth is at the Lansdowne market. Kiwi Gardens sells the most gorgeous plants and containers that I have ever seen. I love all Farmer’s Markets. But, Carp Farmer’s Market is my favourite market in the Ottawa area. 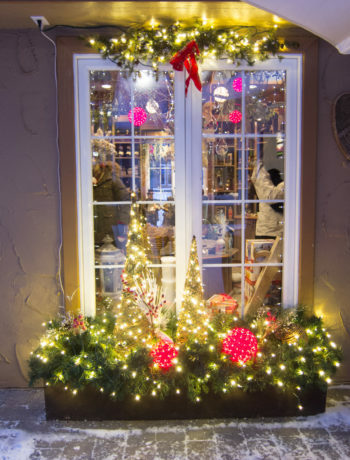 It’s out in the country and has some amazing vendors, including some ready prepared food carts such as Tibetan Momos, Indian Curries, Stella Luna Gelato, local Coffee, Thai Food and a few more. I love the bright colours of golden and purple beets. 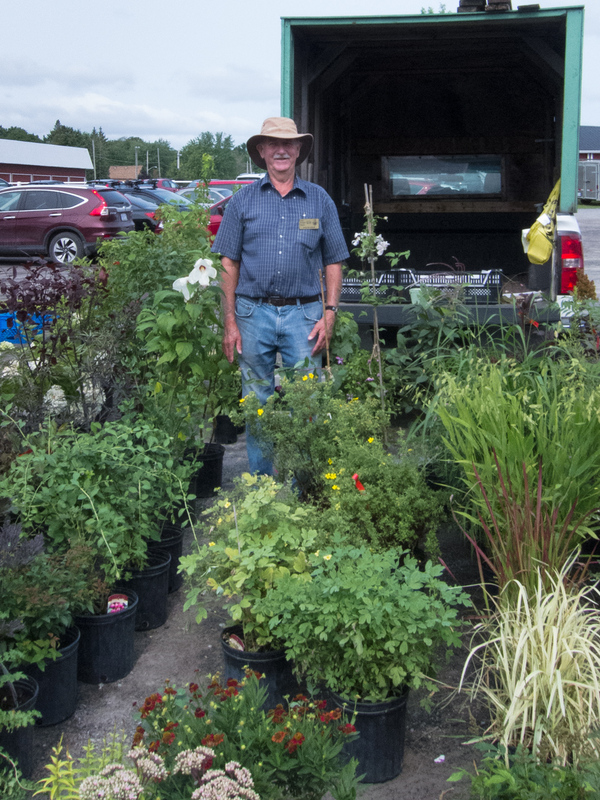 This gentleman has some amazing plants. Plus he sells elderberries in the summer! I love homemade lemonade on a hot summer day! I love beans in every colour! Hot sauces! So many flavours! 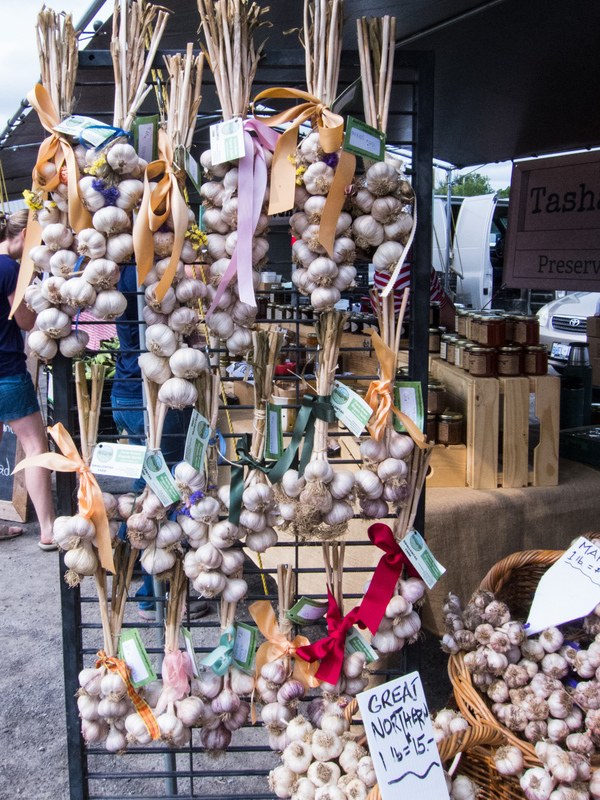 Braided garlic is a quintessential item at any Farmer’s Market.